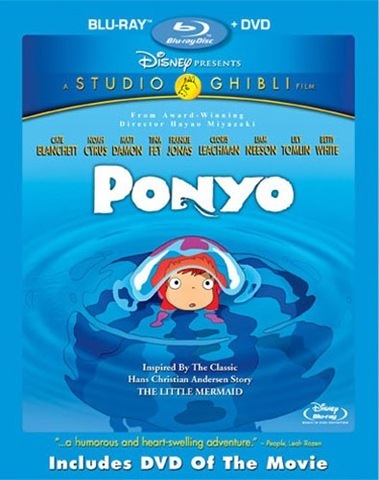 DVD REVIEW: Ponyo’s 2-Disc Combo Pack Leaves DVD Viewers With Little More Than The Movie! 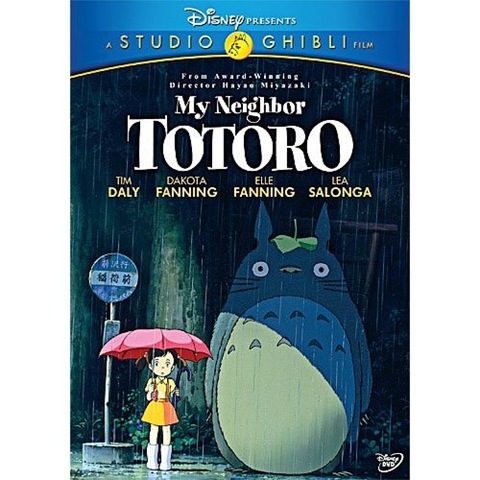 Considering the bonus-filled reissues of three Hayao Miyazaki masterpieces alongside the release of Ponyo, it is a wonder that the DVD in this Combo Pack contains only the movie and a five-minute look at its creation. The film itself is brilliant with its reimagining [in the truest sense] of Hans Christian Andersen’s The Little Mermaid being visually delightfully and filled with intriguing and entertaining characters and situations. DVD REVIEW: Miyazaki Masterpieces Get Re-issues with Lots of Bonus Features! Maybe it’s because Ponyo did four times the box office of any North American release of any previous film by Hayao Miyazaki, maybe it’s because they are just such wonderful films. Whatever the case, Disney DVD has re-issued the director’s Castle in the Air, Kiki’s Delivery Service and My Neighbor Totoro in two-disc special editions with a ton of new bonus features.